Erling is a 500 hour IYN dip. 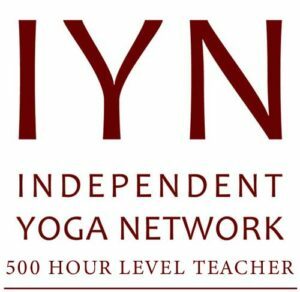 2 qualified Scaravelli inspired Yoga teacher, graduated from the Acquaviva School of Yoga. Erling has extensive yoga experience. These one to one sessions are held at our home yoga studio in Shanklin where we taught for 18 years. Notice of cancellation or re- scheduling needs to be done at least 24 hours before the booked appointment, regretfully cancellations after this cant be refunded. Scaravelli inspired Yoga is a contemporary yoga style. We (humans) are a neurological organism that reacts to its environment, how we have reacted has literally shaped us through our lives. As children we repeat movement patterns that become habituated. This is our body map, later in adulthood we can find that our map is not well practiced, we are simply not active enough in the modern world. If your mapped pattern restrict compliant whole body movements, complications can develop. We can address these patterns in one to one yoga sessions. What to expect in a one to one class? I can assess your range of functional spinal movements and help you understand your body map. I can encourage you to explore movement that is compatible with your body map. Your body has its own intelligence, I can help you find it. Whilst on holiday on the Isle of Wight I had three 1:1 sessions with Erling in which we worked mainly with my feet, changing the way I place my feet from an eversion to a balanced position. What a difference it has made! I find myself walking faster and with greater ease. Weeding my flower bed was nearly enjoyable and I can stand in a tree pose without wobbling, something I could not do at all beforehand. I sit and walk so much taller that husband wondered whether I had grown! Throughout the sessions Erling took his lead from me, making the practice free from the strain and struggle I have experienced in other yoga classes, yet at the end of each practice I was exhausted. Erling also taught and instilled into me an awareness and respect for my own movement needs. So, rather than just following instructions I now monitor whether a posture is actually helping to increase movement range or whether I am actually just straining myself for the sake of a posture and thus creating more blocks in my body. Erling also very skilfully gave me an introduction to anatomy when it was needed which also helps me now to decide where I need to adjust my movements, e.g. my lumbar spine. I think Erling is an excellent, very knowledgable teacher, who I experienced as someone who works with his clients and skilfully adopts the postures to the needs of the client rather than adjusting the client to the posture. I am looking forward to my next stay on the island and more 1:1 lessons with Erling and Scaravelli inspired yoga. I fractured my sacrum (lower back) eight months before i started my first ever yoga class with Erling. I had a six week one to one course. On arrival Erling made me feel very relaxed as i was quite nervous. My main problem was movement and confidence to bend due to my back injury. By the end of my course i felt much more confident to do things i had not been able to do since my injury thanks to Erling’s encouragement, knowledge and expertise. I would definitely recommend him.